Since its humble beginnings, Acme Fresh Market proved to be more than just a local supermarket. It branched out to various services like deli goods and pharmacies. It even has its own catering service. It was founded in 1891 by Frederick Wilhelm Albrecht, a native of Massillon, Ohio. He started in the grocery business with his store named Albrecht’s Grocery. He then began a chain of stores that were on a cash-only sales basis. His store chains would soon be known as Acme Cash Basket Stores. Going through the Great Depression halted its expansion, but did not stop the chain from slowly growing. After exploring various services, and having a few more ups and downs, the remaining stores were rebranded into Acme Fresh Market. However, after a loss of a local Acme store in 1997, it spurred local residents in west Akron to rally for a new supermarket. Henry Johnson, a longtime Acme employee, worked with Acme and his local city to open a new grocery. Hence Acme Fresh Market was born. There are sixteen Acme Fresh Market stores, and two RSVP Food and Outlet locations. It was in the West Akron location where Fresh Market Catering was born. Acme Fresh Market Catering is not limited to just food services. They provide array of various services for events such as rentals, decorations, bakery, staffing, bar services, and music services. This type of catering is convenient, especially for big events. The all-in-one packaging of the services is something that would appeal to many. When ordering from Acme Fresh Market catering, they offer many choices depending on the preferences and request of the customer. They consider the type of service for the certain event: formals, sit downs to casual buffets. They serve an assortment of food trays ranging from $10-$50. Trays may include finger sandwiches, club sandwiches, meat trays, fresh fruit trays, and various pastries of croissants and Italian breads. They also have seafood platters, crab cakes, grilled chicken, and cheese platters. They also serve wines. Acme Fresh Market can also prepare meals, with a customer’s choice offer to party dishes. They can prepare various dishes, even the specialized Japanese and Italian cuisines. They can even cater and make special considerations to various eaters in the guest list, like those of the vegetarian community. 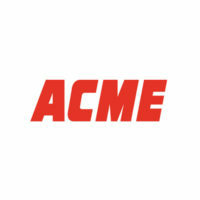 Acme currently offers online ordering at select locations. Orders can be placed at the Acme website. Alternatively, you can contact the nearest Acme market and place orders over the phone with the deli department, or even drop by to personally place the order. Be sure to contact Acme catering 24 hours in advance when placing your order. For Acme Fresh Market catering, the basic starting price range for event packages are about $25-30, but would vary depending on specified requests. Despite the high prices in terms of plating and meals, Acme Fresh Market catering is great because of its reverence to quality. They aim for more by giving patrons various options and services. General terms and conditions taken from the official catering site include that all food and beverage charges are subject to 18% service charge and any other applicable State of Ohio sales tax.